The NFEA represents the equestrian community of the New Forest – to promote equestrian activity within the unique cultural heritage of the area, protect historic rights of access over the Open Forest, commons and rights of way, and keep the Forest safe and enjoyable for riding and driving. It actively supports conservation and tradi tional Forest values, particularly the practice of commoning which plays a vital part in Forest life and the rural economy. 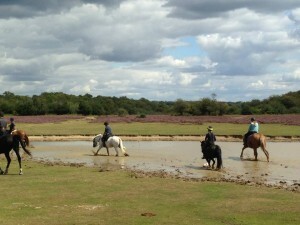 It encourages riders to act in ways consistent with the long-term needs of the New Forest. The NFEA believes that horse-keeping is central to the cultural heritage of the New Forest and that everyone in the equine community makes a valuable contribution to the maintenance of this important heritage.